This year’s EFECS conference was held in Lisbon, Portugal, from 20 to 22 November. 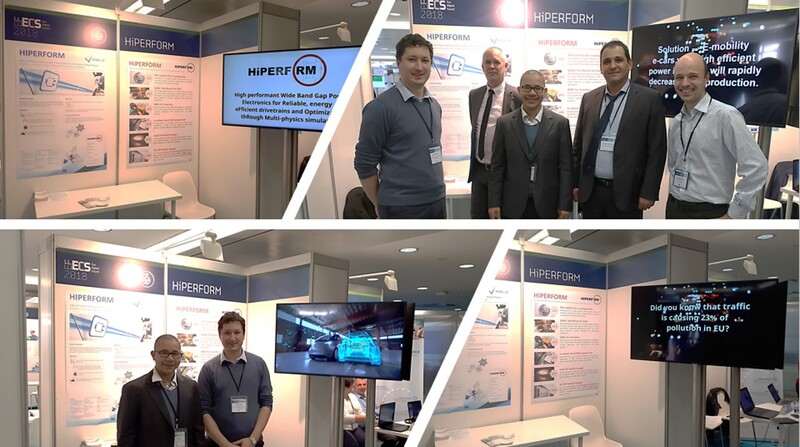 The HiPERFORM project was present with a booth, giving a first insight into the project to the public. Juraj Marek (Slovak University of Technology in Bratislava, dissemination lead) and Christoph Abart (AVL List GmbH, coordinator) explained in many talks the project objectives and the planned work in the course of the project. In total, more than 600 visitors were present at the conference, taking the numerous networking opportunities for today’s and future projects. For HiPERFORM it was a successful event, spreading project information and additionally connecting to other ECSEL JU projects.